TreinTijdjes (Train times) is a simple watch app I have developed for the Pebble smartwatch, to both extend my skills with Pebble.JS and the usage of the NS-API. The NS-API is an API supplied by the Dutch Railroads that allows me to retrieve train departures and info about train stations. With this app, you can choose a station and it will show you the departure times for trains in that station. The TreinTijdjes app is currently available in the Pebble App Store. It can be downloaded here. PebbleSOM is an application for the Pebble smartwatch, allowing the user to see their homework for the next two weeks. The app makes uses of the SOMtoday API to request this data. The user can also see tests and other important assignments, and even mark their homework as done. The app is currently not available for download and only works with Dutch schools who are using SOMtoday. 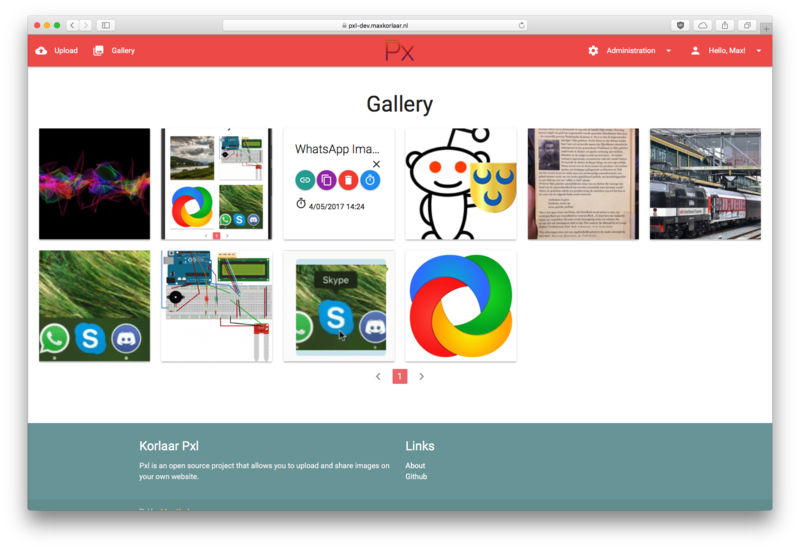 Using the well-known PHP framework Laravel I've built an open source web application allowing the user to store and share images on their own website, with built-in compatibility for the Windows application ShareX and other applications. A few important features are a personal gallery, the automatic deletion of images and the usage of custom domain names owned by the user. Pxl is open source software and freely available for download. For more information, visit pxl.maxkorlaar.com. 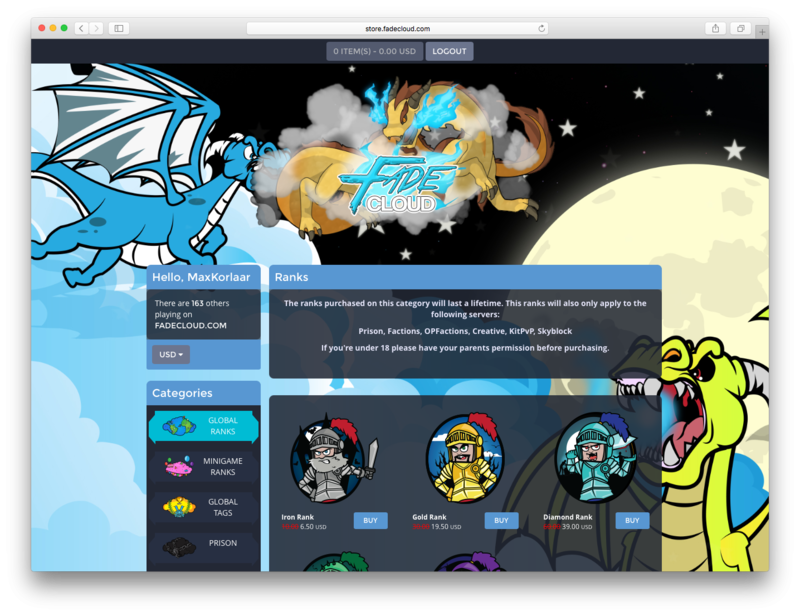 FadeCloud approached because they wanted to have their online store page redesigned. As such, I have redesigned their website to the likings of the client. The website has been redone almost completely: I've changed the theme and both the layout of the store as to how the client wanted it to look like. The result: A fresh new website with positive comments from the client and their customers alike. A Dutch nonprofit wanted to accept payments using the Dutch payment provider iDeal (offered by all large banks) but their existing solution, a WordPress plugin for accepting form submissions, did not have built-in support for that. Since the nonprofit already had experience using Mollie, a Dutch payment provider, the request was to build support for Mollie into the WordPress plugin. The end result is that the nonprofit can now accept payments using Mollie while using a familiar system. They only have to enable Mollie as a payment provider in the plugin settings to do so. Scholieren.com owns the website MyWrds, a site made for high school pupils to practise words and sentences in various languages, but they did not have the time to maintain it very much. Even though they saw the potential in the website, it was highly outdated and desperately needed to be redone. They reached out to me and asked me if I would be interested in rebuilding MyWrds for a large audience, with modern features and a scalable codebase. As of now, the project is still ongoing and as such, you can't see MyWrds for yourself just yet. When it's done, it will be available to see and use on MyWrds.nl. You can also find me on Github, where I contribute to open-source projects.